Nintendo of America made two exciting announcements today that include a new Wii U Deluxe Set console bundle and two new Mario and Luigi themed nunchuck controllers for Wii systems. The new console comes packed with a Nintendo Wii U console with 32GB of storage space, a Wii U Gamepad, the console and the games New Super Mario Bros. U and New Super Luigi U. The new Wii U Deluxe Set will retail for $299.99 and releases on November 1, 2013. Nintendo also announced new Mario and Luigi themed controllers will be arriving on the same day. 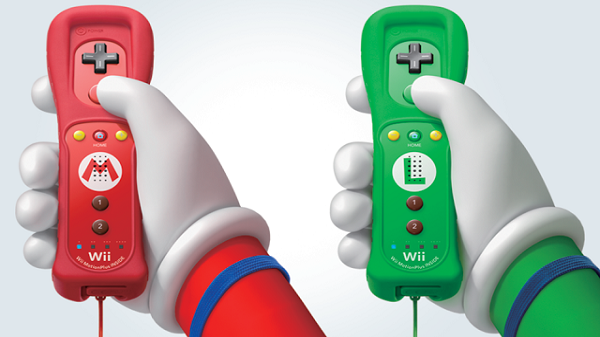 The new controllers come in red and blue Mario colors with an "M" emblem or green and blue with an "L" emblem for Luigi. The Wii Remote Plus controllers will be compatible with both the Nintendo Wii and Nintendo Wii U, and each will retail separately for $39.99, so get yours while they last! For more information on all things Wii U, check out the official Nintendo Wii U website. Artificial returns for second season on Twitch on April 17th. Ubisoft has announced that Trials Rising Sixty-Six will release April 16 for consoles and PC. 20th Century Fox has released the final trailer for Dark Phoenix . Read on.